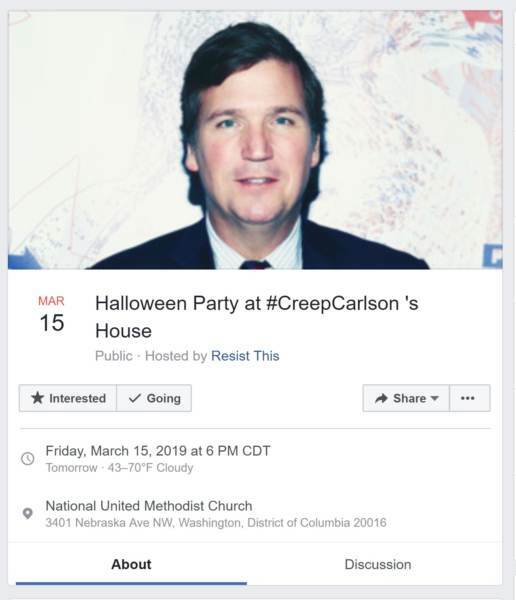 Antifa is planning to hold a Halloween party themed protest at the home of Fox News host Tucker Carlson on Friday evening, The Gateway Pundit has learned. The group is calling for people to meet at a church near Carlsons home at 6 p.m. in Halloween costumes. The group will then walk together to his home. Far-left groups previously protested outside Carlsons family home in November. The television personality was not home at the time, but his wife was. The protest was organized by the same group that was behind chasing Senator Ted Cruz out of a restaurant in DC in September. I’d love to see the Proud Boys show up for a meet-&-greet. Personally, I would enjoy watching Antifa meet the Banditos MC. Too bad I live a thousand miles away or I’d show up too. In DC I am not sure Tucker can stock up on 12GA buckshot, but if it was me I would do it anyway. The police won’t show up until the next day so it is all on him to defend his family and property. A silenced .22 would be more effective. An unAmerican group trying to silence speech. Will they be dressed in 'blackface' ? It seems only appropriate to print the names, photos and home addresses of these Antifa organizers. How the ringleaders manage to evade even being identified by name is a mystery. Is this one of those cities (like Berkeley Ca.) where the Mayor tells cops to ‘stand down’ if the victims are conservative? If so, it’s time to hire some professionals. No need to keep behaving as though nothing has changed. It has changed. Conservatives are under assault from various parties. Stupid to announce it. All the Carlson's have to do is spend the night at another location in town. Get a hotel room for the night. Any damage to his house or property could be recompensed from the group leaders in court. 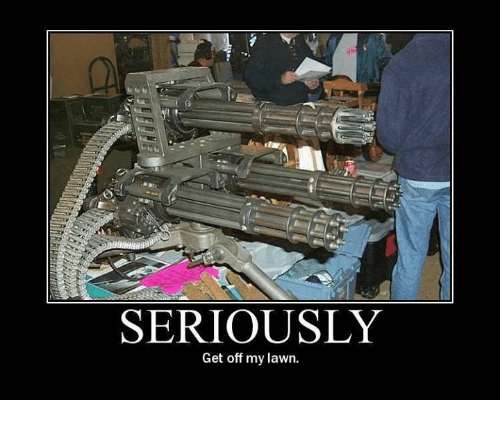 Perhaps more effective if they are not storming your front door. 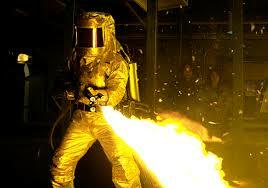 The most satisfying would be a flame thrower. A few Claymores might fill the bill too. Are some 3D printing plastics x-ray transparent? One could fashion landmines. It is clear that there is no longer any rule-of-law and the police will do nothing to protect the homeowner or his family. Plan for an appropriate response. If I was making the money Tucker does, I would not be living in some sub division on a cookie cutter size lot where any weirdo with google maps can easily find my house.